The restaurant has for many years been a popular choice for weddings. When we were approached to redesign it as an a la cart restaurant and wedding venue, we noticed how underutilized the space was. 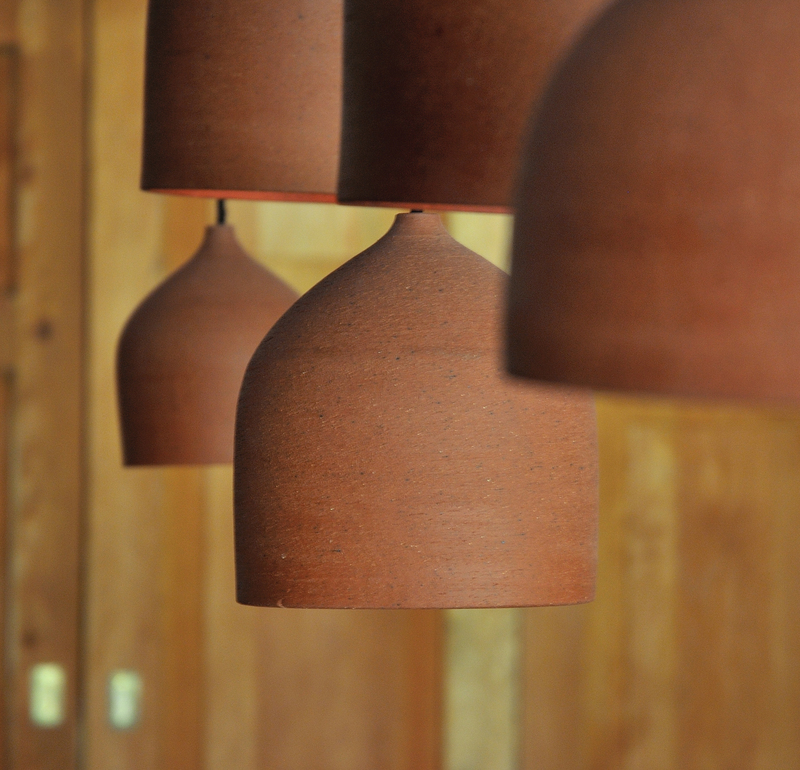 The interior was orientated inwards, it was dark and uninviting. 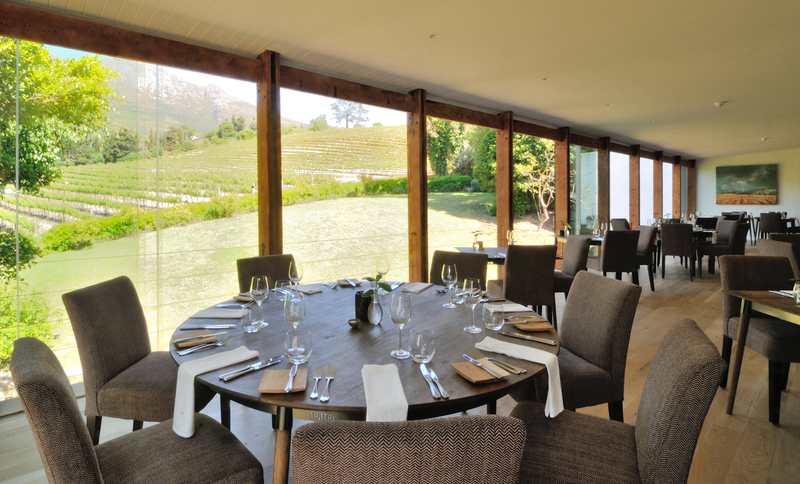 By opening up the inside spaces to an enclosed balcony and incorporating the balcony with its views over the vineyard and Constantiaberg mountains in the background, the orientation was changed towards the views and light flowed into the restaurant abundantly. 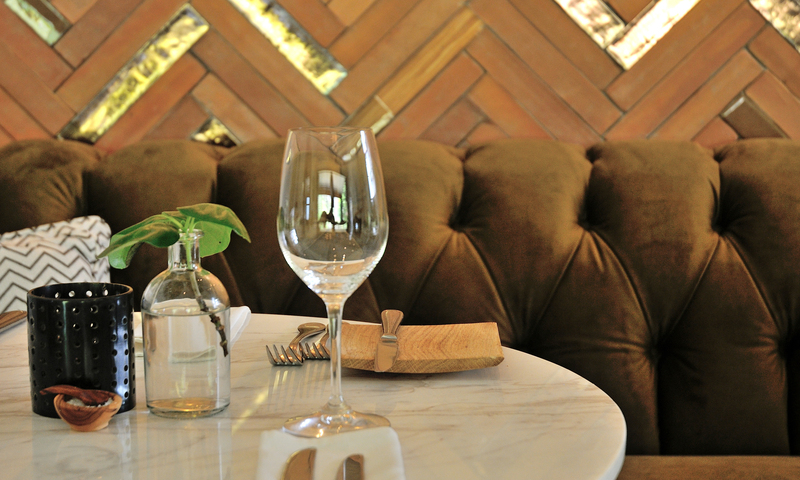 We reclaimed a section of the restaurant used for a service bar and designed a 5 meter long velvet sofa with a handmade clay herringbone tiled wall behind it. This sofa enjoys some best views from inside. 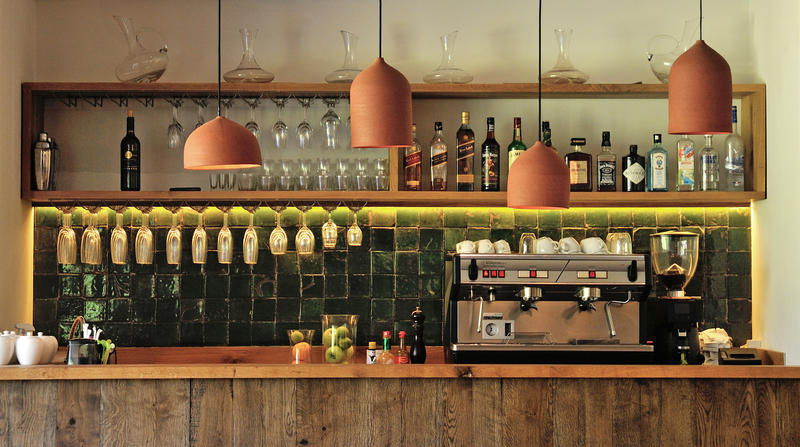 The brief included the design of a wine bar and Enoteca showcasing special and old vintages. Constructed from a mix of waxed steel and French oak, the edgy design holds wine bottles with backlighting highlighting the old paneled walls behind it. 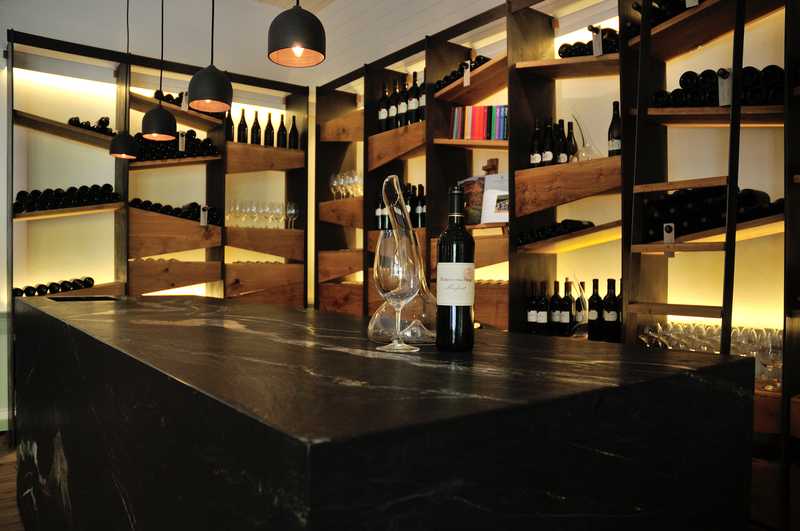 In front is a matt black marble block to stand around and discuss the wine. 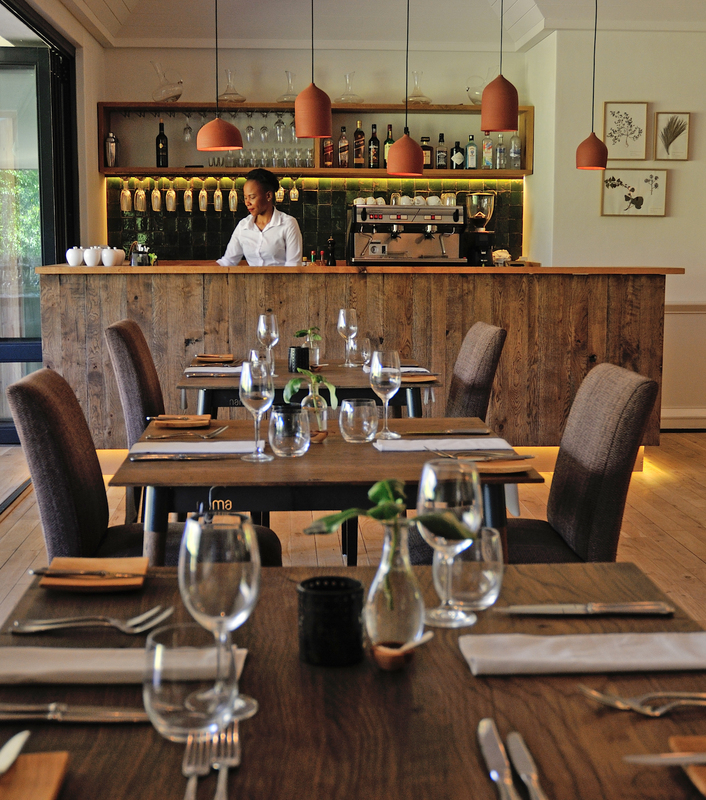 We stripped down the old woodwork, lightened the colour scheme and collected botanical specimens from the farm which we pressed and are now on display in the restaurant. 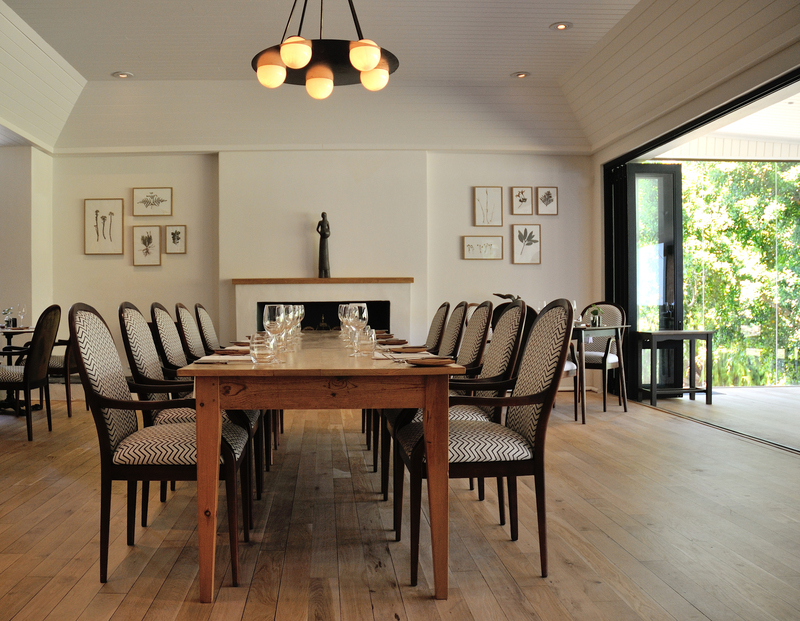 The result, a reimagined space filled with light, elegant, timeless and paying homage to its setting in the Constantia winelands.